Marijuana-infused edibles are everywhere! You can even find it in the posh restaurants where they served it with sass… Now, we don’t need to go anywhere and pay high price for it as you can create it yourself. 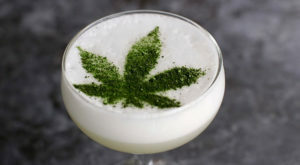 We’ve got six recipes for weed-charged cocktails right here for your drinking pleasure. When you’ve regained consciousness from your most recent Whip-It bender, just empty out your standard-size whipped cream canister and fill it with vodka (or another spirit) and your preferred strain of bud. Pressurizing it with CO2 helps to flash-infuse the liquor, while a short bath in a double-boiler decarboxylates the goodies in your weed—transforming it from the not-so-fun THCA to the much more party-friendly THC. I recommend using 3.5 grams of cannabis per 750 milliliters of alcohol. This dosage is to ensure the effects without too much of either one. 1. Measure out the alcohol. Pour 250 milliliters (1/3 of a normal 750-ml bottle) Pour the alcohol into the whipper. Add the cannabis into the whipper. Bartender’s Tip: If you use 1/3 of a bottle of vodka, then weigh out 1/3 of an eighth of cannabis (1.16 grams). 2. Attach the nitrous charger to the whipper and then release the gas. Unscrew the charger and attach the second charge and release the gas again. After you charge it the second time, let it sit for a minute or two and then open it up. 3. Next, begin the wet decarb process. Take out your double boiler. 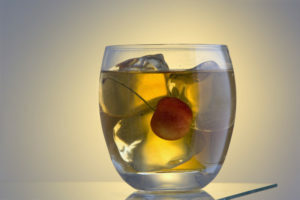 You will be heating up the infused alcohol in a delicate matter, which will activate the THC. Heat the water in the lower part of the double boiler to around 200 degrees. Then pour the infused alcohol into the top of the double boiler. You will see the liquid is really green. At this point, even though the flavor is in the alcohol, the active THC is not. Note: You are heating it to a level that activates the THC but with no combustion happening. There’s no ash and no way to make carcinogens. That’s what makes this a great way to consume the medicine. Simmer the alcohol at this temperature in the top of the double boiler for about 45 minutes. It will reduce a bit, so you will add virgin spirit of whatever volume is lost in order to bring to the original volume to accurately reflect dosage. Alternatively, a strong tincture can be made by reducing the liquid down to an extremely low volume—50 ml or so—and placing it in a glass dropper bottle. This tincture can be used sublingually (under your tongue) in very small doses to medicate. Always test medicine with a drop at a time and wait for reaction time to develop. 5. Next, remove the pot from heat and set aside. Using your glass-measuring cup, put your small metal strainer on top and then set some cheesecloth into the strainer. Pour your de-carbed cannabis liquid into the glass-measuring cup. This allows you to strain out the leftover cannabis. After straining, add enough of the virgin spirit to bring it back to the original volume (250 ml). 6. Lastly, use this liquid, Green Dragon, as a substitute for the base spirit in your favorite cocktail. And please enjoy responsibly! You will be amazed at the amount of flavor that comes across and how it takes the edge off the alcohol. If that’s not enough to get your buzz on, well, it might be time to take a little vacation from good ol’ cannabis. 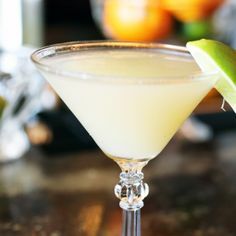 But if you’re less into cocktails that James Bond would drink if he were stationed in Kingston, turn to the advice of master mixologist Don Lee. 1. 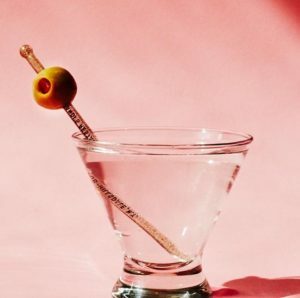 In a shaker, combine cannabis-infused gin, one cap full of dry vermouth, and ice. DO NOT SHAKE. Stir & strain into a chilled cocktail glass. 2. Add garnish of your choice. Happy 420! 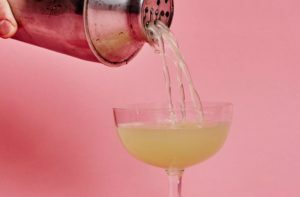 The Weed Eater—aka David Bienenstock—spoke to the former PDT and Momofuku bartender, who offered up three strain-specific cocktail recipes, which brings out the distinct nuances of aromas of each type of cannabis. 1. Fill a cocktail shaker with ice. Add all ingredients. Shake until cold. 2. Strain and serve up in a coupe glass. First up for cocktail nerds is the Prohibition-era Last Word, this time with pine-y OG Kush. Follow that with some skunky Sour Diesel, which pairs perfectly with peaty scotch in a Rob Roy. 1. In a cocktail shaker, stir together all ingredients. 2. Strain and serve up in a coupe glass with an orange twist.